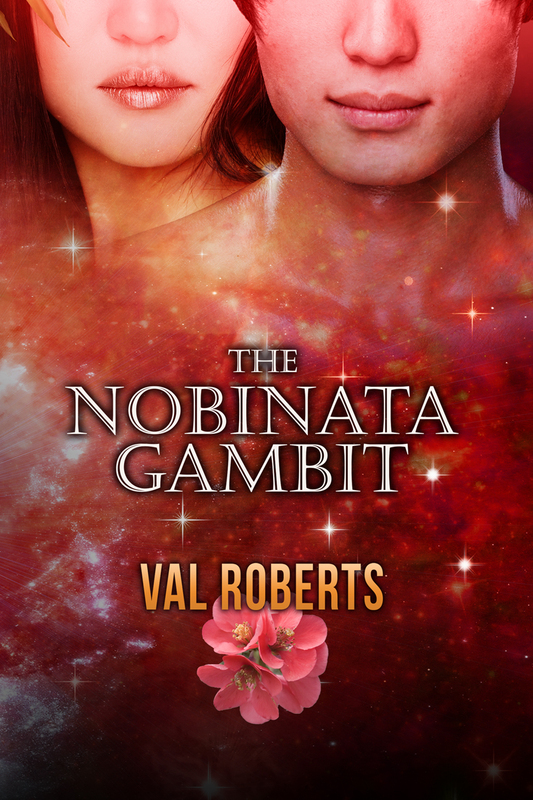 The Nobinata Gambit is officially out among the virtual bookshelves, which marks another turning point for me; it’s the first story I’ve written about a character that had already appeared in a story, making it the second book in a series. What’s the name of the series? Beats me. It all started with a novella called “Finding the Briar Rose” which is a Sleeping Beauty retelling that I’m going to rewrite and publish as a freebie next year (early next year, I hope), because I like the characters and they should live somewhere besides my dead-manuscript file. The first published story in the series is The Valmont Contingency. The Nobinata Gambit is the story of Shak and “Lilo” (her real name is Yuki) after the end of Valmont; they save the emperor of the Empire of Nippon and Allied Cultures from an assassination attempt by one of his distant cousins, with assorted tragedies, murders and goings on, a love story, and more sequel bait thrown in because life never lets you do one thing at a time. The universe for this series is the area of space colonized by humans after Earth’s magnetic field fails–it doesn’t actually FAIL fail, but it flops poles (again, it’s done it before), so it effectively fails for a few thousand years. Geologically, that’s an eyeblink, but for humans it’s a real problem since the magnetic field keeps out lethal high-energy particles from the Solar wind. Privately, I’m calling these books the Diaspora series. Let me know if that works and I’ll put it on the books I control. My next title will be Getting Lucky, also the second in a series (my second second book, so to speak); it’s the story of Sasha from Open Mike at Club Bebop and the personage he finds lurking in the sealed archive he’s searching for more information on that tantalizing piece of video Colonel Singh turned up in Bebop. Yes, Sasha is smitten by someone as sneaky as he is, and…Martians, although not live ones. I know, right? More on that when it gets beaten into shape. Sorry, Apple readers, I can’t figure out how to get a direct link to the book in iTunes. If you know, leave a comment with directions.